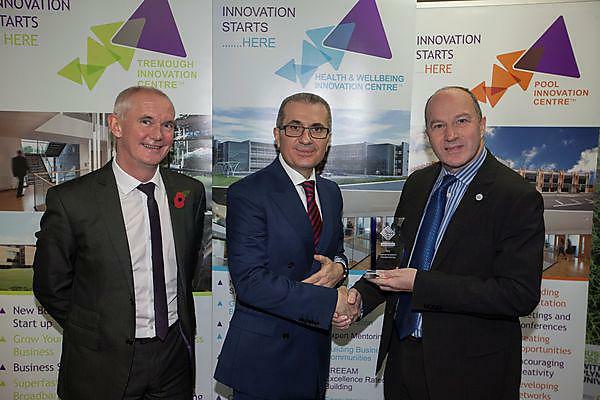 The University has been given the Investor in Innovations Award for its management of the three Innovation Centres in Cornwall, which are now home to over 110 innovative high growth businesses, and which since their launch in 2011 have helped create more than 200 jobs. Awarded by NEF: The Innovation Institute, the accreditation also covers the University’s Formation Zone incubation centres on campus and in Cornwall, which nurture embryonic businesses including graduate start-ups from Plymouth and local colleges. During the accreditation process, members of NEF visited both the Plymouth campus and the Tremough Innovation Centre in Penryn and spoke with managers and staff about the work being done at Pool, Tremough and the Health and Wellbeing facility in Truro. Businesses from the centres were also present to offer their perspective. NEF singled out a number of areas, including the entrepreneurial experience of the centre managers, the focus and support for client businesses, particularly young entrepreneurs, and the use of things like business competitions and entrepreneurs-in-residence. They also praised the levels of community engagement, with 16,000 visitors interacting with the centres in four years across a variety of events.